3. Today I will walk in the light of the glory of God, and that light will shine into every remote corner of my mind and will bring revelation, clarity and understanding to me concerning my circumstances. It is written: “ARISE [from the depression and prostration in which circumstances have kept you — rise to new life]! Shine (be radiant with the glory of the Lord), for your light has come, and the glory of the Lord is risen upon you!” (Isaiah 60:1 – AMP). 5. Today I will meditate the Word of God, and whatever is good and edifying, I will “think on these things” (Philippians 4:8 – KJV). 6. Today I will think positively and remain optimistic, regardless of the influence of negative people in my life. 7. Today I will walk in the blessings of the Mind of Christ, and today I will live in the now! Father, help me to hold it together today. In Jesus’ name, amen. 1. Today I will live in the now! I will live in the now because Jesus, the King, is reigning in and with and through me, changing me from the inside out – in my mind, in my heart, and in my faith – so that I can change the world around me, and make it a better place in which to live for future generations. I am changing my mind today – learning to think in a new way – so that I can enter the Kingdom, and bring necessary revolution through the revelation of repentance from my present reality into the realm of righteous rebirth! There is a new world coming, and Christ is already reigning from there. 2. Today I will disassociate myself from demonic strongholds that are resistant to authority and to change. I will do what I can to expose the death that is religion. 3. Today I will make room for the new thing that God is doing in my interior world. I will throw out the non-essential numbers that usually define me, including age, weight, and height, and will adopt a new way of seeing myself (then we shall know even as also we are known – I Corinthians 13:12). A new definition of my personhood is being written on my heart and in my imagination. The Kingdom within is causing changes without, and is creating within me a vision for real revolution! 4. Today I will preserve what is good in my world, and will change what needs improvement. If what needs to be changed is beyond my ability to improve it, I will get help, knowing that revolution requires a responsible team effort. 5. Today I will embrace the excitement and adventure of transition, even the frightening kind, knowing that life is not measured by the number of breaths we take, but by the moments that take our breath away! The violent take the Kingdom by force, and today I will welcome the shaking of God in my life, not fearing the violence around me. In all these things I am more than a conqueror through Him Who loves me! 6. Today I will overcome the seduction of staying with the familiar and the temptation to let tradition go unchallenged and unchecked. I will outgrow my comfort zone today, and will move into the next chapter of the book of my life, knowing that the ending of the story will be a portrayal of my personal triumph! 7. Today I will run with the vision that is written on my heart by Jesus, the Revolutionary, and I will be changed for the better because of it. Today is the day for my miracle, and today I will live in the now! Father, let Your Kingdom come, and revolutionize my life today! In Jesus’ name, amen. JULY: A Month For Celebration! Red, white and blue banners to brighten things up… Marching bands to move you… Parades to pick up your spirits… A dazzlingly deafening display of light, color and noise to excite you as it explodes above your head in the heat of the summer night… Celebrate it all – all that the summer brings… Baseball games, barbecued ribs, and bare feet… Cotton candy, carnivals and convertibles… Hamburgers, hot dogs, and homemade ice cream… Long, lazy afternoons, lemonade, and laughing out loud! Put the top down and go to a drive-in movie… Remember to ride a roller coaster… And celebrate life! Make a joyful noise all the earth! “When you win, we plan to raise the roof and lead the parade with our banners. May all your wishes come true! 1. Today I will live in the now! I will live in the now because I understand that excellence is an attitude – a state of mind that gradually becomes a lifestyle, and I am developing that lifestyle daily. I know that excellence exists, and that successful people live it, so I will not be destroyed by a lack of knowledge in this area. I have seen it in others, and now I will see it work for me! 2. Today I will not be lazy, and just assume that excellence will be a natural development in my life, but I will work hard to maintain a high standard for myself, and will walk in the required diligence to achieve my goals. 3. Today I will not give in to feelings of unworthiness that would prevent me from expecting the best of myself. I will believe that I deserve to live an excellent life, and will retrain my mind away from lies that I have believed that have damaged my self-esteem. 4. Today I will not be satisfied with “good” or “good enough.” God has called me to greatness in my area, so I will be faithful to hone my skills for the development of excellence, and I will do it to be a blessing to the Kingdom. 5. Today I will rid myself of any fear of success that I may still have, realizing that the continued pursuit of excellence ultimately brings undeniable success – and with that success comes added responsibility. But I am preparing myself to take on more, enlarging my capacity for faith and productivity, and, when opportunity knocks, I’ll be standing at the door, ready to open it! 6. Today I will not feel like I am an imposter, not living my real, deserved life. I am blessed because God is good, and I am successful because He has allowed me to work His system in the earth for my own benefit, as well as for His. I am not afraid that success will tell on me, revealing that I can’t make the grade. On the contrary, with every level of promotion, I will easily rise to the occasion. 7. Today I will see the big picture of my success, increasing in excellence incrementally, patiently progressing and possessing the higher standard of living that I deserve. Today I will give it all I’ve got, and today I will live in the now! 1. Today I will live in the now! 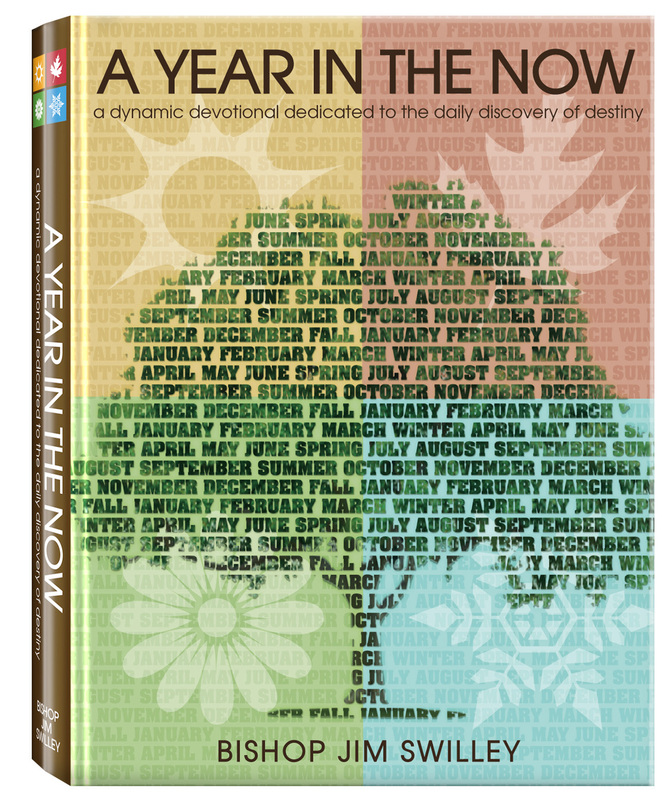 I will live in the now because my mind is fixed on the God of all peace, and His tranquility and serenity are flowing through me like a cool stream in a green meadow on a lazy summer afternoon. Regardless of the turmoil around me today, the secret place of the Most High will be the eye of the storm for me as I walk in the peace that passes understanding. 2. Today I will let the peace of God’s Word wash away the worry that wastes my time, and keeps me from walking in a way that is worthy of me, as I welcome its wonderful wealth of wisdom into my world! 3. Today I will enjoy an undisturbed and composed existence, refusing to become unnecessarily agitated over trivial problems and inconveniences in my day. I will “let not my heart be troubled,” but will choose the path of peace without frustration and aggravation, remaining calm and collected in Christ. 4. Today I will find some quiet time for myself, removing myself from the stress of striving in the flesh. The Spirit will be a dove for me as I cast all of my care upon Him, laboring to enter into His rest without pressure. 5. Today I will be a peacemaker, not just a peacekeeper. I will proactively insist on living in an environment of harmony — doing whatever is necessary to produce peace in my relationships — because where envy and strife is, there is confusion and every evil work (James 3:16). 6. Today I will practice the presence of God by praise, worship and meditation. 7. Today I will walk in my Kingdom rights to peace (along with righteousness and joy in the Holy Ghost), and following that peace in my spirit will guide me into the perfect will of God when I need to make decisions. Today I will settle down, inwardly, and trust God with my life completely. Today I will just chill, and today I will live in the now! Father, help me to keep my mind stayed on You today. In Jesus’ name, amen. “Lift up your heads, O you gates! And be lifted up, you everlasting doors! 1. Today I will live in the now! I will live in the now because I know that I am a gate for God to use to gain access into this world, an everlasting door for His passage. Therefore, I will lift up my head today and be somebody! As a gate/door who holds the Keys of the Kingdom that is within me, my demeanor will display my desire to take dominion and my attitude will accentuate my ability to accept authority. 2. Today I will let the King of Glory come in to control my current circumstances. I will be His dwelling place today – His Garden of Eden – where He can find fellowship. Because He is with me, even during trying circumstances or tragedies, I will walk tall enough to dig out the positives, and summon the courage to take the next step and make things better. 3. Today I will assume accountability in acting as His gate and door by busying myself, turning dark situations around toward the Light. I will realize that, as a holder of the Keys, the Kingdom’s advancement is my responsibility, and will act accordingly. 4. Today I will pack my schedule with positives, refusing to waste my time agonizing about yesterday — or speculating about tomorrow. Instead, I will broadcast the excellence in which I am walking today. I will speak up and declare my righteousness in Christ, portraying myself in the most self-enhancing manner possible! 5. Today I will make the decision to be happy with my life as it is, while maintaining motivation to improve it. I will keep talking myself into my future, even if I don’t fully believe what I’m saying, yet. My conversation will be peppered with prophetic purpose and proactive prayer as I use my ability to affect significant change! 6. Today I will walk tall in my dreams – initiating creativity and activating the faith that will transcend impossibilities. I will walk out of smallness, as I put my past in perspective and point myself toward greater purpose. My progressively victorious life will provide a speaking platform for God, as I plainly personalize the power of His gospel before the public! 7. Today I will walk tall enough to overcome obstacles, knowing that “He who overcomes shall inherit all things” (Revelation 21:7)! I will leave a legacy for the next generation by setting an example of greatness. Today I will dare to believe that I can be at my very best so that the King may enter the environment, and today I will live in the now! Father, help me to walk tall today. In Jesus’ name, amen. 1. Today I will live in the now! I will live in the now because the power of memory and vision are enabling me to put the now into perspective. With the eye of truth I am able to see into the distant past, and solve the mysteries of my life — and with the eye of faith I am able to see into the distant future, and declare the end from the beginning. 2. Today I will travel back in my memory to get in touch with my childhood, knowing that Jesus made childlike-ness a requirement for entrance into the Kingdom. The imagination, innocence, playfulness, and sense of wonder of my youth still remain buried in my sub-conscious (spirit), and the Keys of the Kingdom are unlocking the prophetic imagery that is produced by the positive parts of my past. I will also know when it is time to put away childish things. 3. Today I will listen to the messages that my dreams and night-visions are conveying to me. Instead of being haunted by horrible images from yesterday, I will recognize that my soul is bringing these things to the surface in an effort to help and heal itself for a better tomorrow. 4. Today I will know the difference between what needs to be resurrected and what needs to stay buried. My sense of timing and propriety, under the anointing of the Holy Spirit, will help me to know what to do and say, and what not to do and say. 5. Today I will see my life as a whole entity, and will accept it for what it is. I will not complain, nor slow my progress through the pointlessness of regret, “But by the grace of God I am what I am . . . ” (1 Corinthians 15:10). 6. Today I will keep talking myself into my future, propelling my faith to maintain the motivation for mental mobility in a mature manner. I can’t afford to get my life stuck in a time warp now, because I know too much and there is too much for me to do. The future is calling me, so I must move forward! 7. Today I will believe that I am not getting older, but that I am getting better as I grow in God and learn my life-lessons. I will embrace the sage-like wisdom and oak-like strength that comes from having lived a full life. Today I will travel the road of life successfully, and today I will live in the now! Father, help me to appropriately navigate my past and my future today. In Jesus’ name, amen.